James Bond - The Secret Agent: Added to my collection: Did you know that this is a James Bond car? 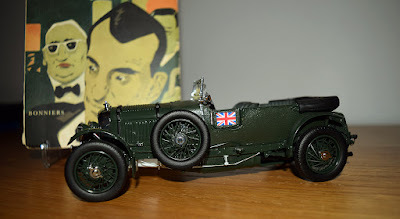 Added to my collection: Did you know that this is a James Bond car? Most people on earth would say that the true James Bond car is the Aston Martin DB5. 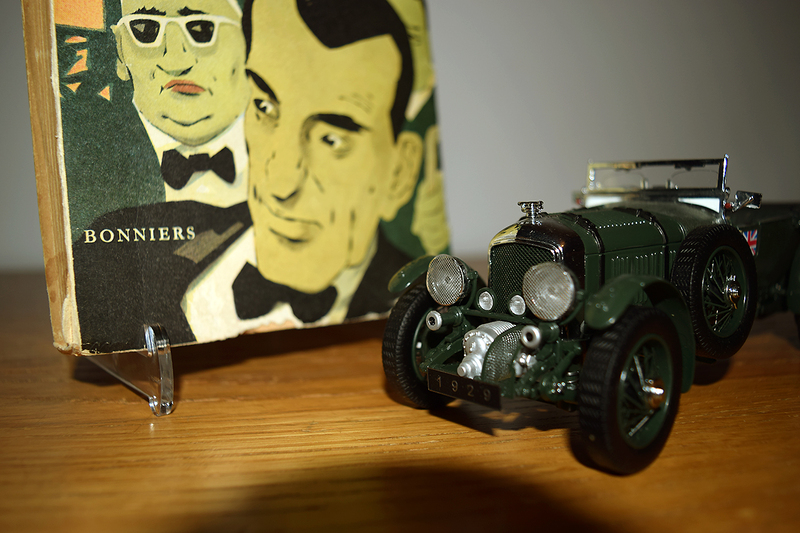 Dave Worrall even wrote a book about that car calling it The most famous car in the world. And I can agree that the Aston Martin is THE James Bond car to the world. But you must have read the books to learn that Ian Flemings James Bond drove a hole other car in the first novels. The first car he drew was not a car from the Quartermaster. It was his own car. 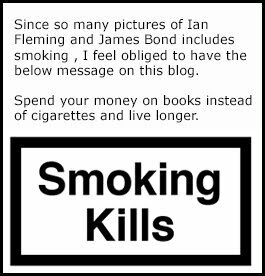 And he used it for the first time in the first novel called Casino Royale while going to France. 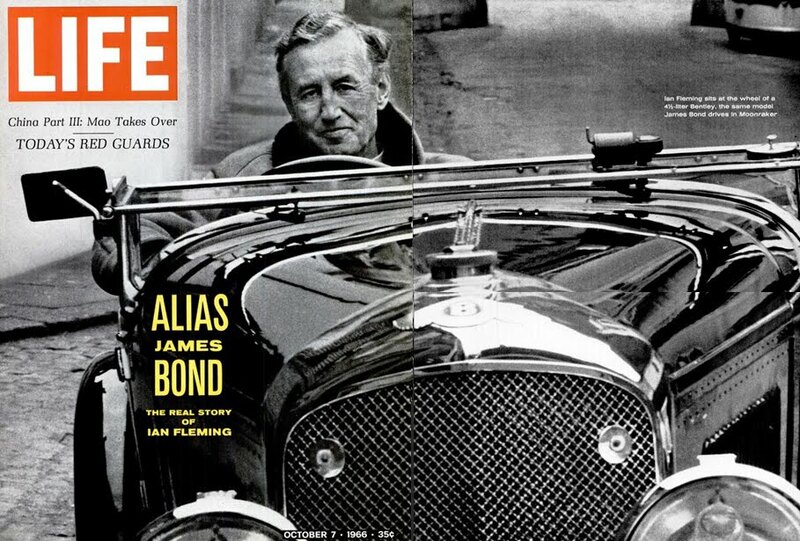 "Bond's car was his only personal hobby. 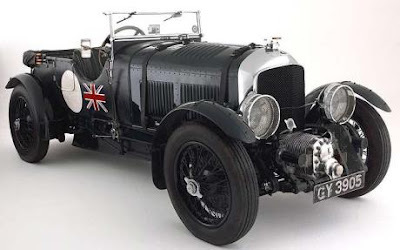 One of the last of the 4 1/2-litre Bentleys with the supercharger by Amherst Villiers, he had bought it almost new in 1933 and had kept it in careful storage through the war. It was still serviced every year and, in London, A former Bentley mechanic, who worked in a garage near Bond's Chelsea flat, tended it with jealous care. Bond drove it hard and well and with an almost sensual pleasure. It was a battleship-grey convertible coupé". It seems like green was the main original colour for this car because when you Google the car only green cars appear. Maybe Bonds Battleship-grey was even offered at the time? Since this is the first James Bond car I had to have it in my collection. Therefore I bought the Franklin Mint version on Ebay and I paid £33 for it. As you can see on the below pictures the Franklin Mint version is green as well. But maybe I will have it repainted in the future to be be more like Bond's car. So what does a car like the Bentley 4 1/2 Litre with a supercharger cost today? Around 2 million pounds is the correct answer. In 1987 Little Lead Soldiers produced The James Bond Bentley car set in a limited edition of a 1000. 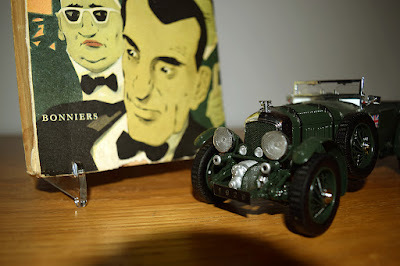 That car was green as well and seems to be some sort of miss mash of The Bentley from the books and the Bentley from the film From Russia With Love. 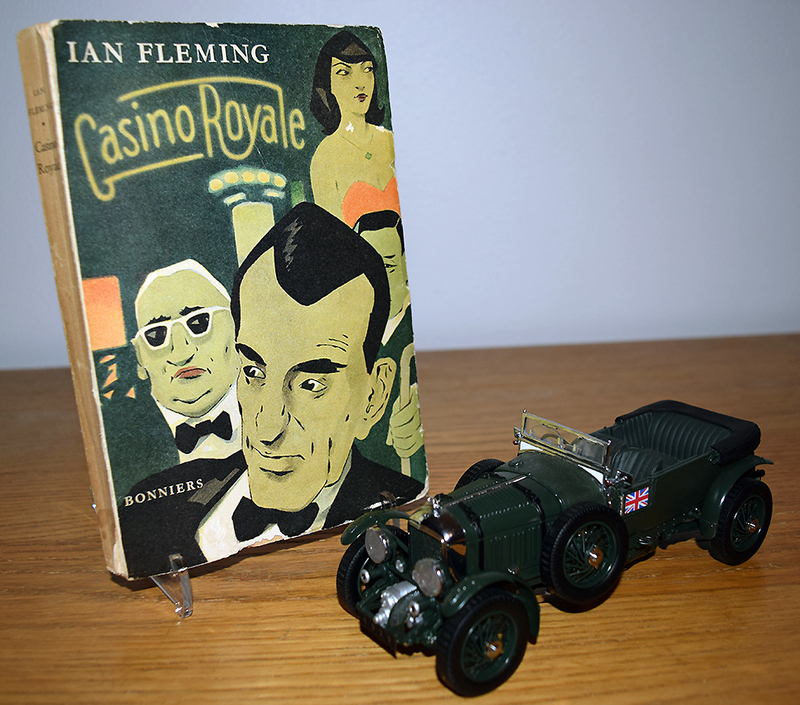 The book on the below pictures are a rare Swedish First edition of Casino Royale. The LIFE Magazine picture is Ian Fleming sitting in a Bentley 4 1/2 Litre Supercharger. In the 2006 film version of Casino Royale James Bond drives an Aston Martin in a car chase borrowed from the novel with the same title. The bad guys in this seen drives a Bentley.